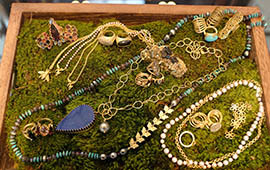 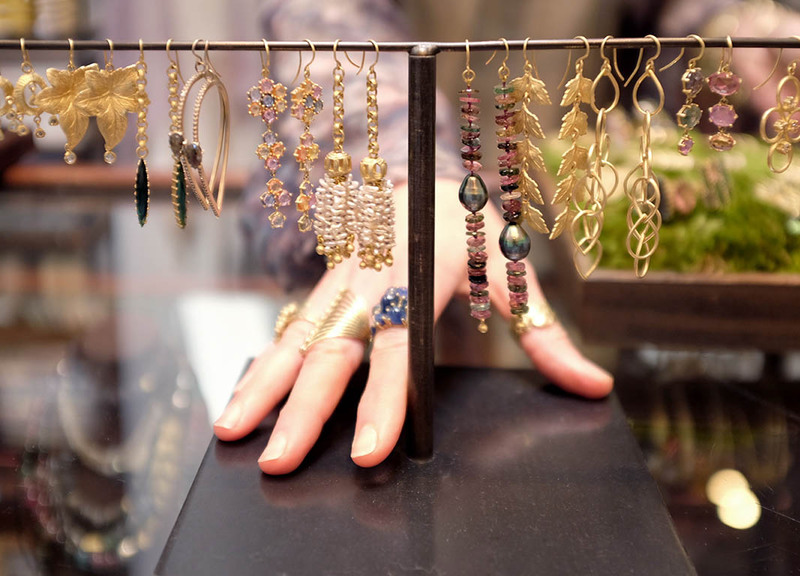 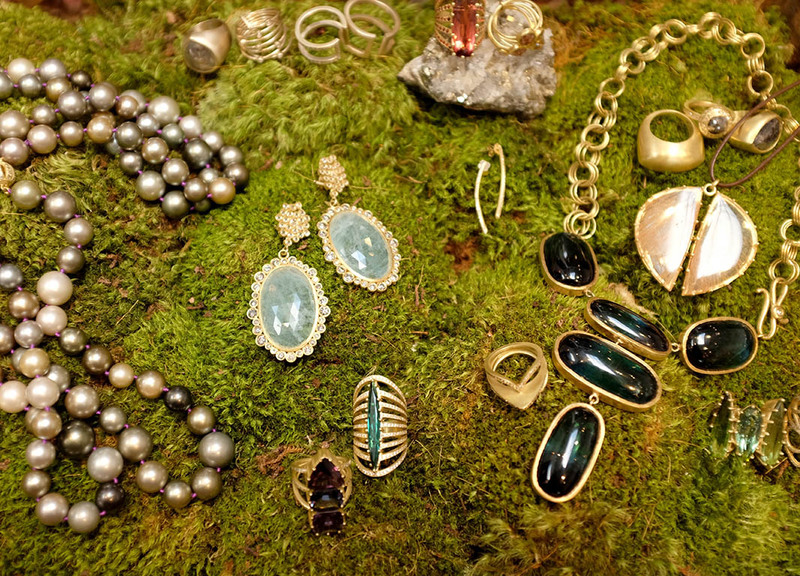 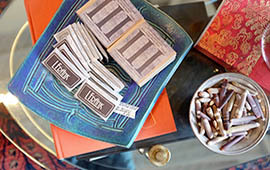 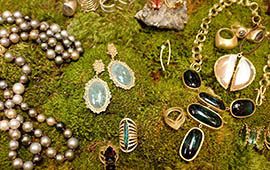 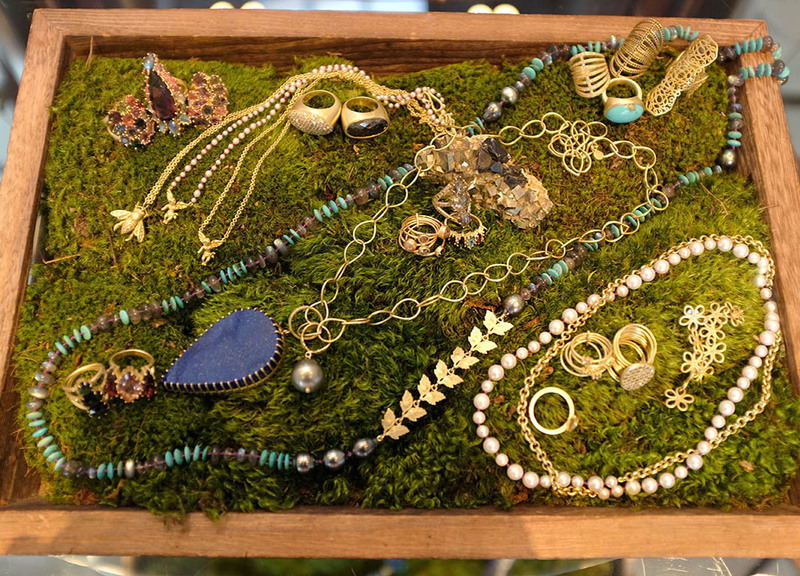 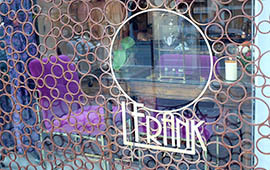 Shortly after native Californian, Liseanne Frankfurt opened her first jewelry boutique, LFrank, in 2007 on Abbot Kinney Boulevard in Venice, California, a retail specialist swung by to take a look and told her the layout was all wrong. 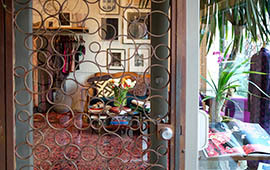 Liseanne had based the design on her home. 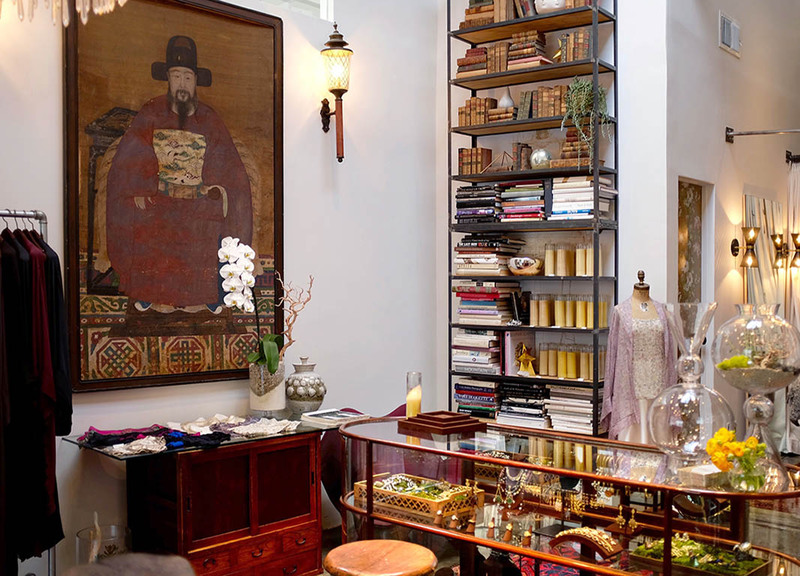 It was filled with furniture and antiques including a large nineteenth century Asian ancestor portrait her husband had received from his mother to decorate his first apartment. 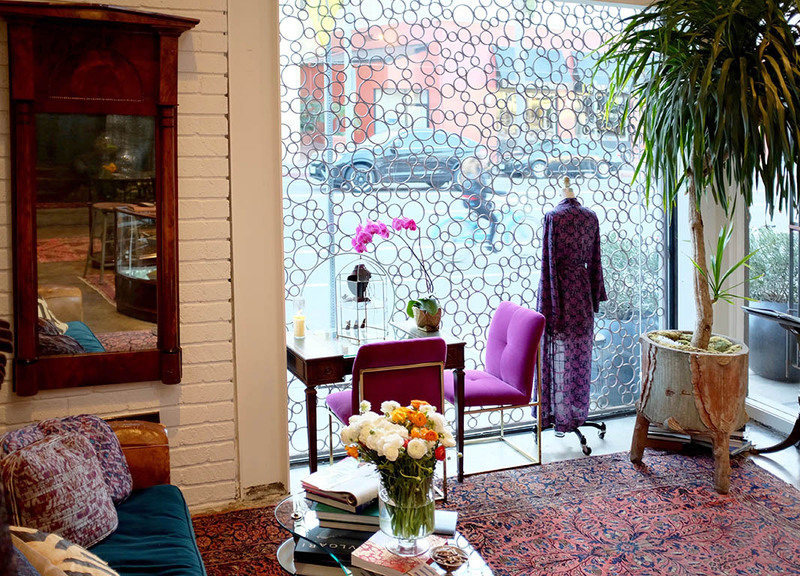 When the designer moved to a larger location on Venice’s Main Street in 2015 to accommodate her newly launched lingerie collection, she took the furniture and maintained the home-inspired inspired look. 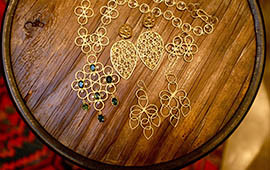 “For me it was successful,” explains Liseanne. 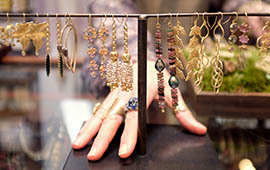 “I wanted people to feel comfortable and spend time in the shop.” As it turns out, Liseanne was years ahead of her time. 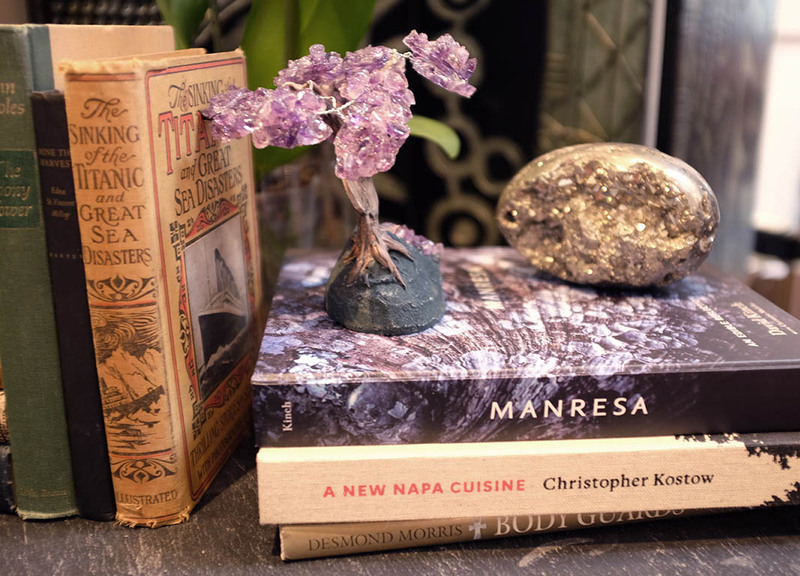 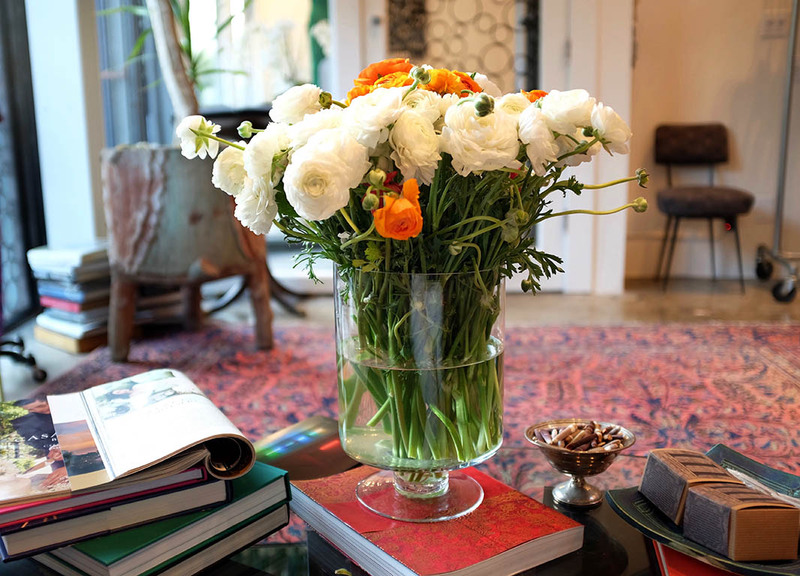 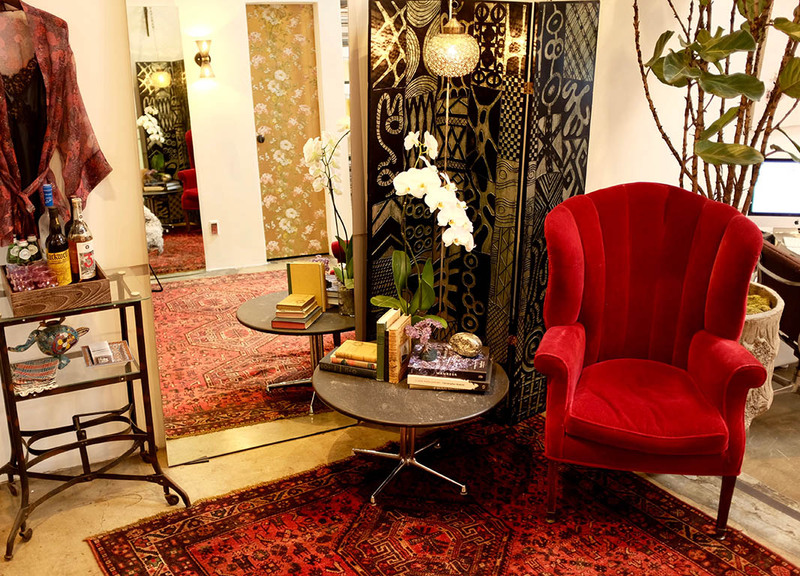 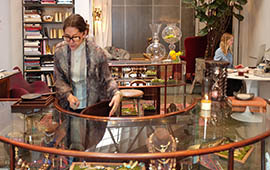 The home store concept has become popular everywhere from the new Belperron boutique in New York to the Chanel popup shop at Bergdorf Goodman and the Cartier Mansion on Fifth Avenue. 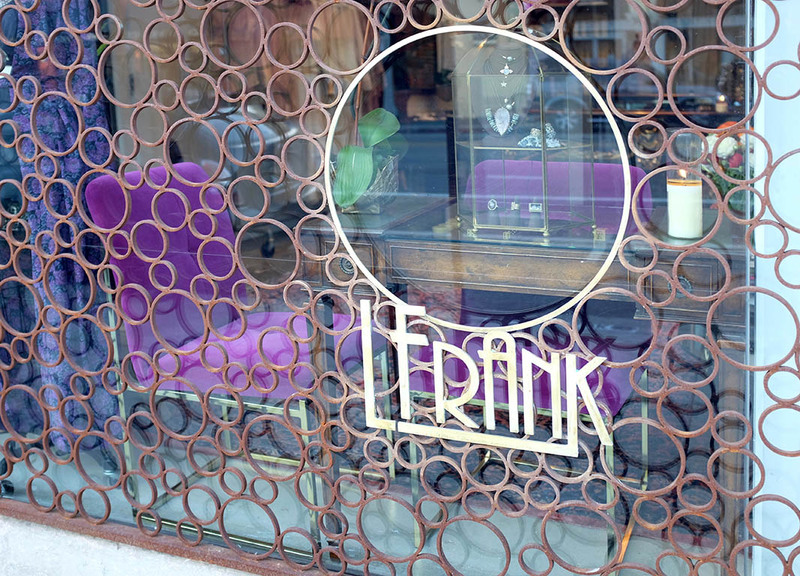 At LFrank, the look is deeply personal. 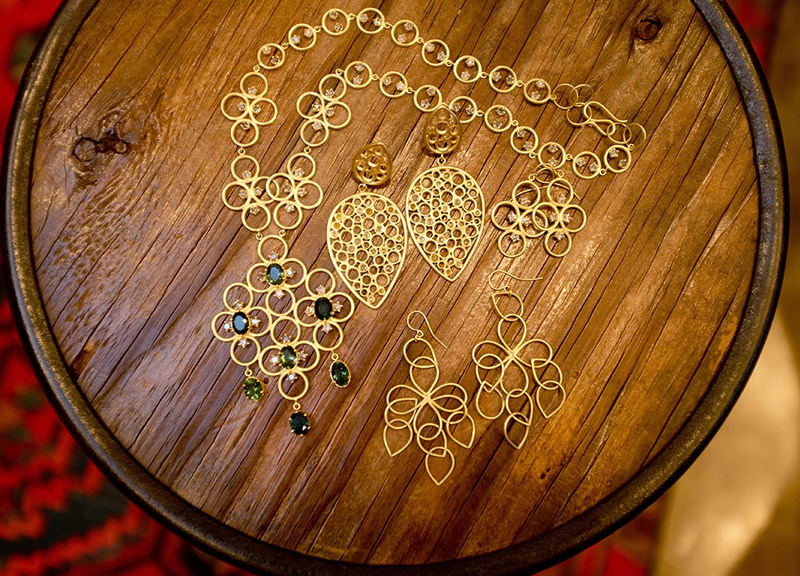 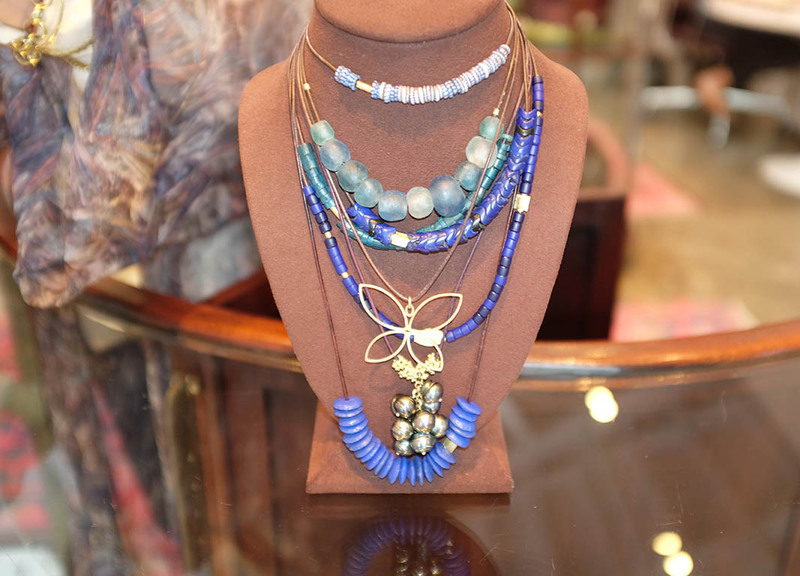 It’s a reflection of Liseanne’s individual jewelry collection that is all carefully manufactured in Los Angeles and features easy to wear deluxe gold designs set with colorful gems and rose cut diamonds that can be layered and loved every day. 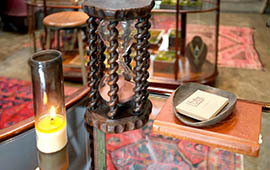 When the style translates into décor it is a mix of antiques. 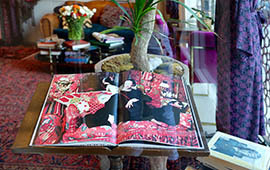 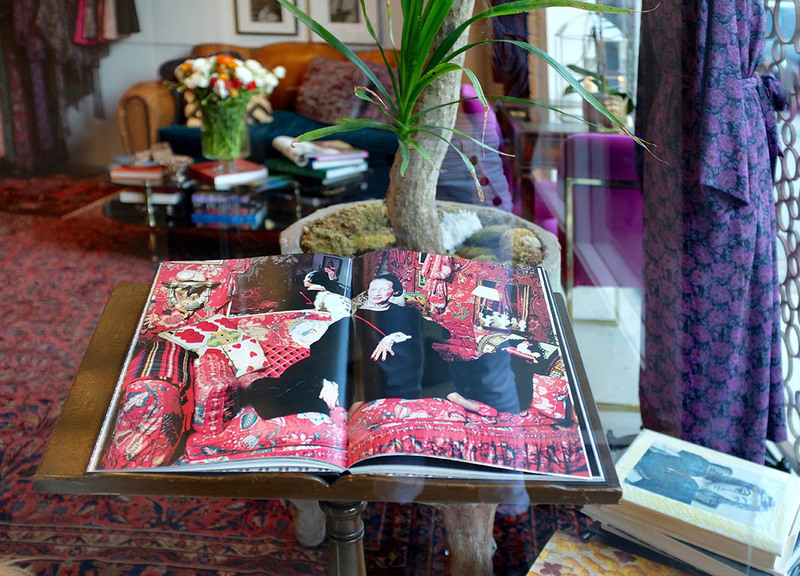 In addition to the benevolent ancestor portrait that made the move to the new location, there is a French art deco sofa where clients can linger over jewels or even grab one of the many volumes off the 13-foot high vintage bookshelves. 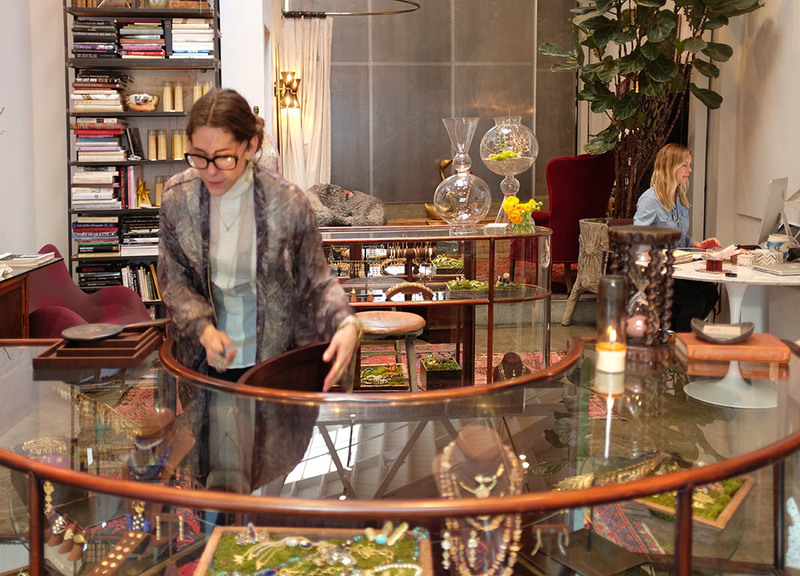 “People look at books all the time,” says Liseanne. 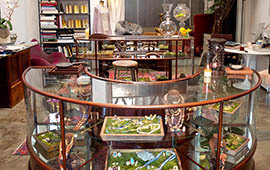 A desk with chairs provides a location to sit down and review pieces or talk about special commissions. 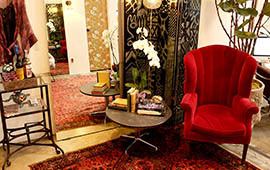 There is a comfy dressing area in the back for clients to try on the luxurious lingerie. 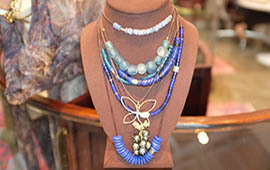 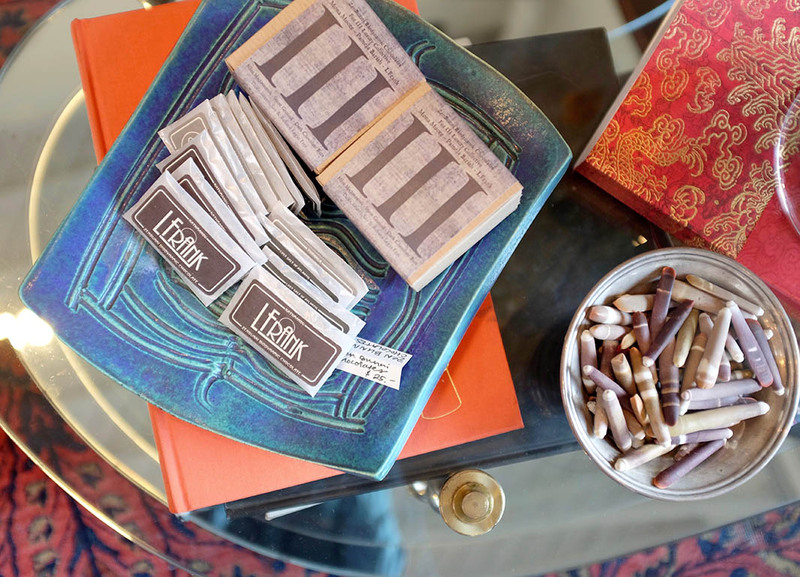 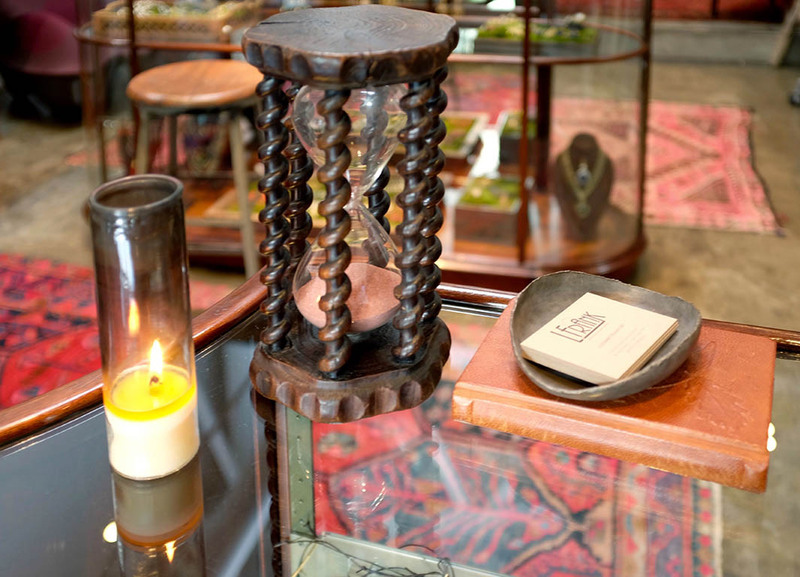 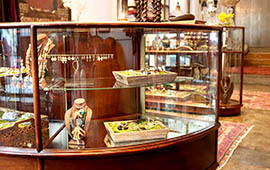 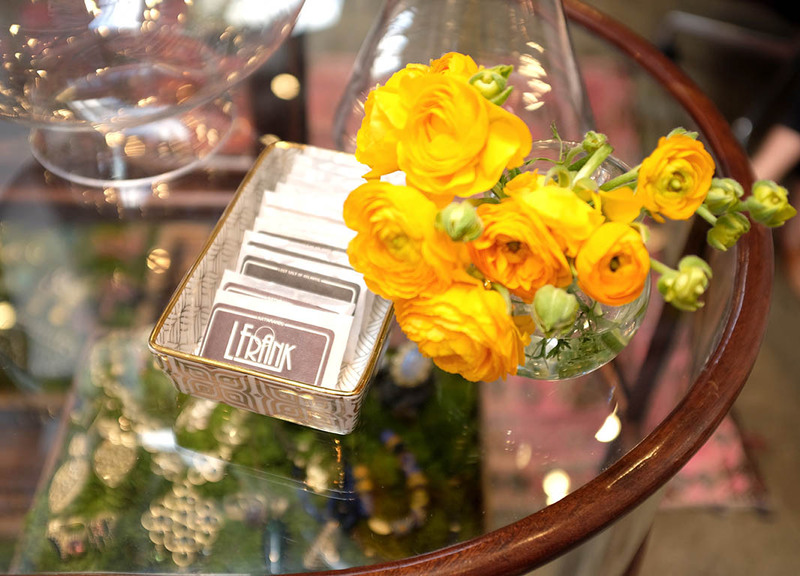 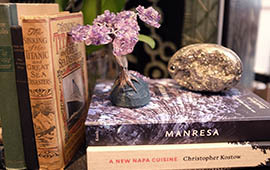 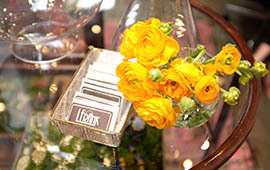 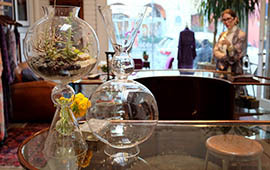 Delightful mise-en-scènes can be found all over the boutique. 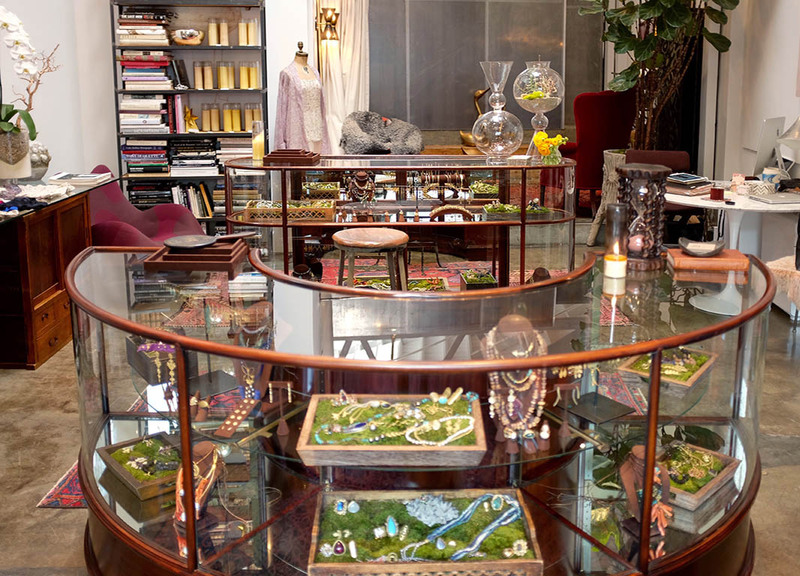 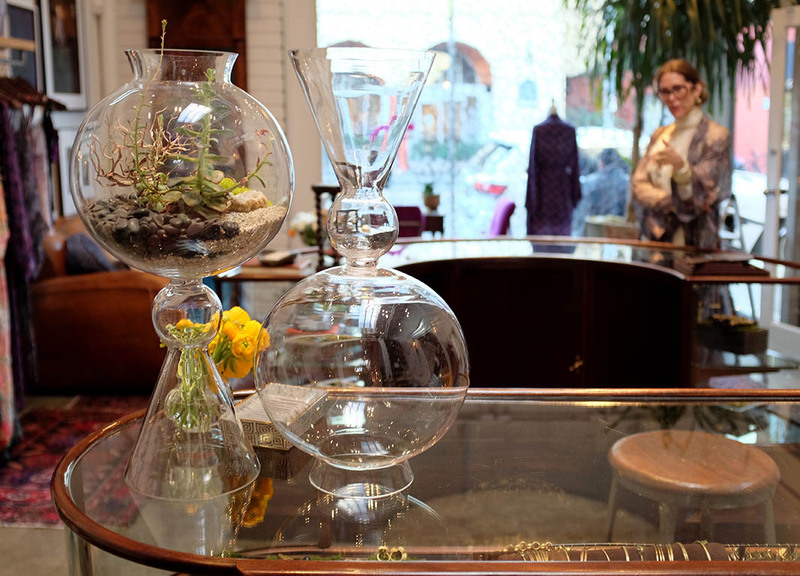 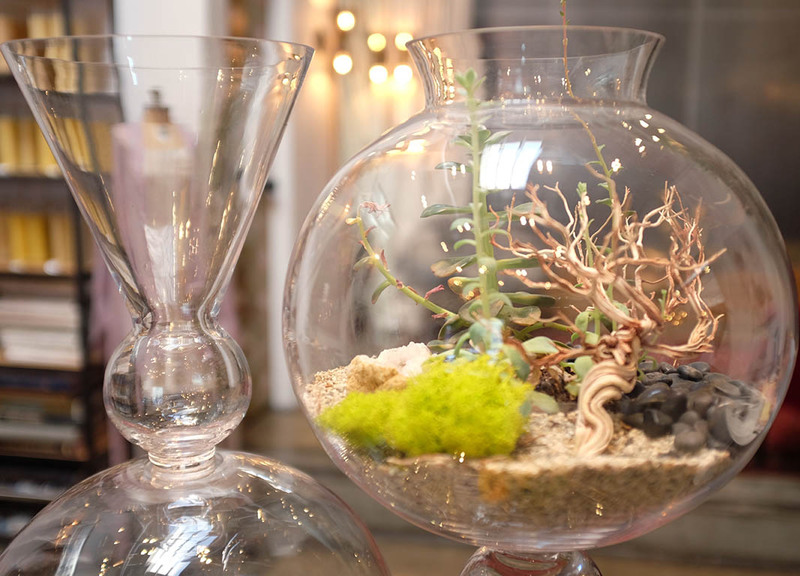 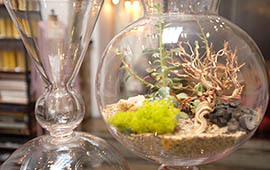 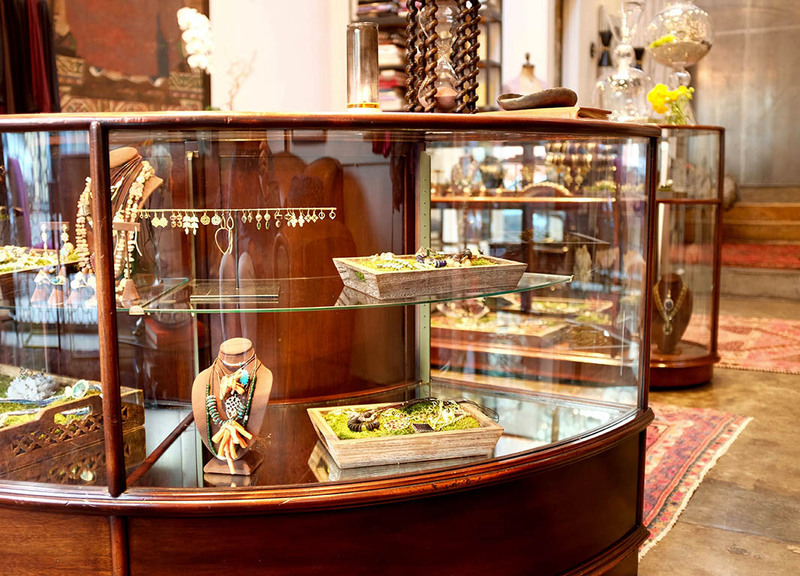 A mesmerizing terrarium sits on top of the English circular antique jewelry cases that echo the moss covered jewelry trays on the interior. 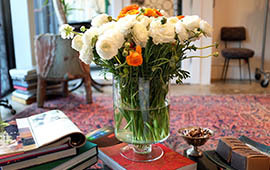 Candles and flowers add organic homey elements. 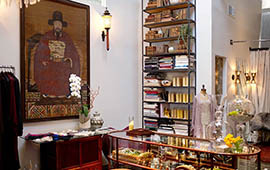 A Georgian chandelier hangs from the ceiling. 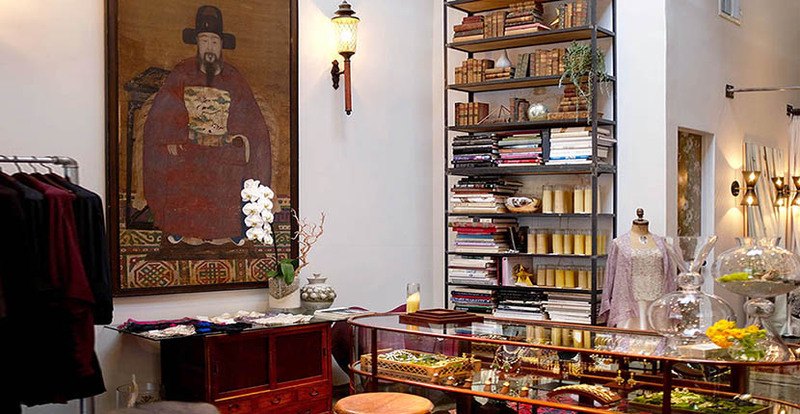 A vintage backgammon game is ready to play near the front door. 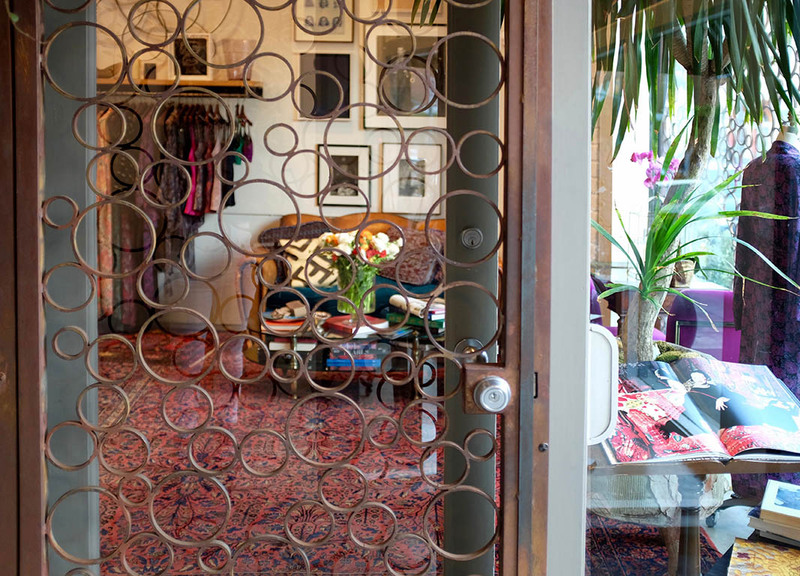 The façade of the store is wrapped up in a pattern of iron work bubbles, Liseanne designed inspired by one of her bracelets.